TAEBC Wants to Hear from You! Send Us Your News. It’s hard to believe that we’re already halfway through 2016. With the year at the midpoint, it’s a good time for TAEBC to take inventory to find out what our members have been up to. What is your biggest accomplishment this year? What good news do you want to share? Send us any updates, pictures, awards and honors or upcoming events and we’ll share with our membership in the next E-news. You can send promotions, new business, event highlights or anything else you would like to share with your fellow TAEBC members. And, if you’d like to have an opportunity to announce or share an achievement with a targeted audience, consider sponsoring a TAEBC Energy Connect event. Energy Connect events are sponsored by members, for members. You provide the attendee list and TAEBC will handle the promotion, securing attendance. For information about how to sponsor an Energy Connect event, contact Cortney Piper at cortney@piper-communications.com. Send your updates, photos, events and good news to Allie Rapkowicz at allison@piper-communications.com. The summer is heating up to be an energizing time for TAEBC with the launch of the new Energy Connect Summer Series in May. Hosted by members for members, Energy Connect provides networking opportunities to introduce new products and services and talk about timely topics. Upcoming sessions will feature events sponsored by TAEBC members, Genera Energy, PHG Energy and Silicon Ranch. Watch your email and the TAEBC website event calendar for updates and more information. 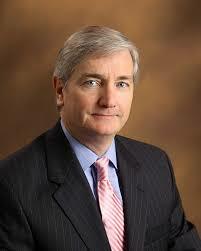 On May 17, TAEBC member, Bradley Arant Boult Cummings, hosts the first Energy Connect session in Nashville, at 1600 Division Street, #700, from 4:30-5:30 pm CT, featuring TVA’s Senior VP of Economic Development, John Bradley. Bradley will talk about “Economic Development Trends in the Tennessee Valley.” Economic development initiatives create jobs and capital investment. Bradley will discuss the latest on TVA’s programs and give members insight into how TVA is helping to retain and recruit advanced energy companies and manufacturers to the state. At TVA, Bradley has implemented a broad range of new initiatives including a targeted industrial recruitment program and increased support for community development and existing companies. He is a veteran economic development professional with more than 30 years’ experience. He came to TVA in 2002, and since that time has spearheaded the Megasites Certification Program; Valley Investment Initiative; The Data Center Sites Identification Initiative; TVA’s Rural Development Strategy and TVA’s Product Development Initiative. Bradley’s leadership led to TVA being named one of the top utilities for economic development. Personally, Bradley was twice named one of the Top 10 Who Made a Difference in Economic Development by Southern Business & Development magazine. He serves as a member of Tennessee’s Rural Development Task Force. The Energy Connect Summer Series at BABC will conclude with networking, featuring appetizers and happy hour beverages. To register or for more information, here. TAEBC’s latest newsletter is online! Read the latest e-news here. TAEBC’s latest newsletter is online! Read the e-news here.